Is it worth 20 days of your time to get the same result? ➔ First, there's the benefit of working through your own mental blocks, bad habits, doubts and cynicism as you learn the techniques and principles of NLP. You literally get to choose good habits and constructive ways of thinking. ➔ Secondly, there's the lasting change in mindset that results from discovering what makes you - and other people - 'tick' and from immersing yourself in NLP during the programme. You get a different sense of what's possible. ➔ Thirdly, there's the benefit of acquiring a whole new 'toolkit' of methods to apply in your daily life and make it easier to achieve what you want to achieve. The main benefit that most of 'my' Practitioners report is 'Life just seems easier'. There is less effort needed to get better results, less stress and more enjoyment. Working relationships are more rewarding, personal life is more satisfying and there is time to 'smell the roses'. When you're thinking of doing an NLP Practitioner training programme, you want to be sure it's going to be worth your investment of time and money - right? You want to train with someone who understands the reality of modern business and who you can trust to deliver tangible benefits - straight away. In this programme you discover how each individual's perceptions, skills and history combine to create their unique ways of thinking, communicating and acting. You learn how to tweak your own habits to make them more effective and how to completely replace frustrating, old patterns with new, more useful routines and strategies. You get the keys to understanding what makes other people tick - not in general, but specifically, each person you work with and every member of your social circles. Everyone thinks they're a reasonably good communicator. This programme takes you into the super league. You learn how to predict the impact of specific words and phrases and how to craft your message to capture your audience's attention and to get them thinking in particular ways. You avoid the common pitfalls of business communication and do not suffer from people reading their email during your presentations. Digging a little deeper, you find out the exact process for uncovering the essence of specialist skills. You can take the best performer in your team and find out what makes them the best performer. Even better, you can teach it to everyone else! As a successful business leader, you probably know how to motivate yourself to do whatever needs to be done, but if there are some things that take rather more effort than the rest, you'll find out how to overcome that, and free up your energy for more important tasks. Everyone has some mental blocks, fears, scepticism or phobias. In this programme you have the opportunity to ditch them, permanently. The way the programme runs involves lots of practical exercises, working on real-life issues and aspirations. For each new piece of material, there is an introduction of the concept or tool, a demonstration of how it works and an opportunity to try it out yourself, usually working in pairs or small groups. Once you have experienced the process, there is further discussion and consideration of applications. I invite you to the Brilliant Minds Executive NLP Practitioner programme, designed for you as a business leader to master the essential NLP skills that will make the difference to your success in business. You join a small, select group of like-minded individuals and you benefit from personal feedback and coaching from me. It's a quiet, rational and intellectually stimulating experience that translates directly into new success at work. NLP is a set of practical skills. It's a bit like learning to play a musical instrument or a sport. Knowing the rules won't make you a great tennis player - you need to learn the skills, put in lots of practice and get feedback from a Coach. It's the same with NLP - the information is interesting, but the real value comes from developing the skills. That takes time. Short courses rely on you doing a lot of background reading or audio programmes (maybe 30-40 hours of it!) and on you practicing in your own time without the benefit of a coach. For some people, that works just fine, but most of my clients are busy people with hugely responsible jobs and a packed schedule. It's easier just to block the 20 days out of your calendar and turn up, knowing that it doesn't matter if you haven't given the programme a moment's thought until you arrived. There's always going to be someone who can do it cheaper or who can cut out another day. If you just want the Certificate, that's fine. But if you want to actually get the benefits of applying NLP in everyday situations, you're going to need to time to assimilate it and discover how it works for you. 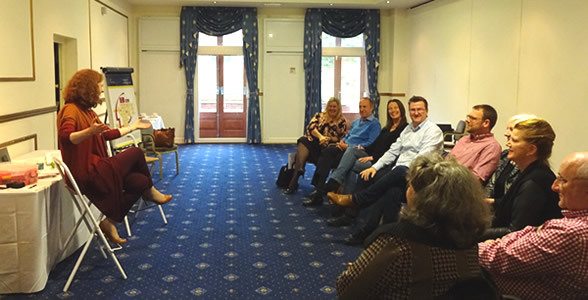 In 2010 I stopped running the NLP Practitioner programme in favour of a condensed 4-day programme, on the basis that it would be more practical for business leaders. In 2012 I decided that there really is no substitute for a ‘proper’ Practitioner programme and on the basis that I want to deliver the best learning I can for my clients, I reinstated the 20-day programme. Sometimes there really isn’t a shortcut to success. What you learn is tailored to you. NLP is a set of skills that can be applied in many different ways. I help you develop the skills and apply them in everyday situations. Then YOU apply the skills where they will make the greatest difference for you. And because you and I talk - before the programme even starts - about what you really want to achieve in your 20 days, I help you make the shifts in mindset that will make the difference. I can do this because there are a maximum of 20 people in the group. I get to know everyone individually and I'm committed to your personal success. How to get people to do what you want them to do. And the secret of getting them to WANT to do it! This includes your boss and other senior stakeholders. Why ‘How should I deal with difficult people?’ is the WRONG question, and what you should be asking (and doing) instead. You’ll take all the stress out of working relationships when you know and apply this in the right way. The ‘Customised Magic’ technique that allows ANY business leader to eliminate poor performance for good. Others, who are still struggling to get people to do the minimum of what’s required, will marvel at how your team act on your feedback. How to read other people accurately. You’ll be able to tell when they’re receptive to your ideas and when to come back another day. Imagine how much time you’ll save when all of your suggestions are accepted first time. How to influence anyone. You’ll practice so that you can do it without thinking about it and you’re free to concentrate on reading their reactions. The number one mistake that 99% of business leaders make in their everyday communication (that in many cases kills the message before it even gets started). And a simple process you can use instead which will ensure you NEVER make this fatal error again. The 12 different ways to convince somebody that form the key to unlocking support from your sponsors and cooperation from everyone you need…plus the one question you MUST ask before you spend any time writing a presentation or proposal. You’ll learn how to adopt new habits and actions so that you do them in the same instinctive way WITHOUT ANY OF THE EFFORT that usually accompanies change. Imagine what this will do for your ability to implement new learning! 2 proven ways to establish an air of authority and stand out from the crowd that you can use immediately. People will shut up and listen when you speak! A simple but effective technique to remember names. Forget the embarrassment of not knowing who you’re talking to – even though you recognise their face. People will be clamouring to do business with you because you make them feel special. How to get yourself in the right frame of mind - immediately - to tackle the job in hand. Whether it’s the CONFIDENCE to challenge the Board or the FOCUS to create a new strategy that you need, you’ll have it at your fingertips. The 6 ‘Deadly’ words which you are almost certainly ALREADY using in your everyday communications and conversations that are DESTROYING 99% of your message. (I promise this one will surprise and shock you)…and more than 20 magnetic, motivational words and phrases you can use instead. The keys to using NLP patterns and formal change techniques so that you can utilise the whole range of NLP techniques, even the first time you encounter them. You don’t need to learn every technique individually, these simple rules will give you the confidence to experiment with the whole library of NLP techniques. I ran my first 20-day Practitioner programme in 1997 and it’s always been a business-oriented programme. Why? Because that’s what I know about. I've been using these skills at senior level in business for over 20 years - I KNOW they work. 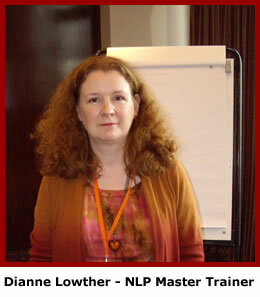 As well as my certification as a Master Trainer of NLP, I have a degree in Psychology and I’m an experienced coach. I’m NOT a therapist. Consequently, I don't, as some NLP Trainers do, assume that everyone in my training wants to be a therapist or coach. I also target the programme away from people who just want personal development. I'm really clear that what I'm offering is a set of skills that make you more effective in business. 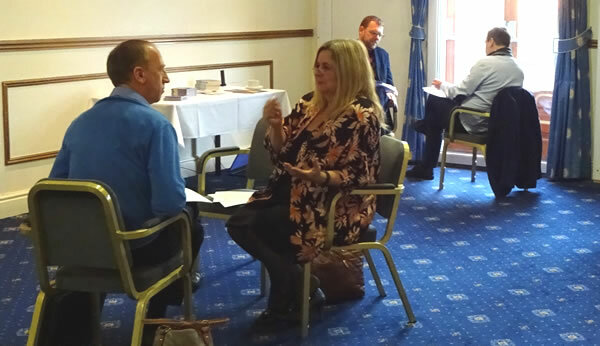 The same skills have a positive impact on your personal life and you gain significant personal development from the Executive NLP Practitioner programme, but you get to do it with like-minded individuals. In 2010 I stopped running the NLP Practitioner programme in favour of a condensed 4-day programme, on the basis that it would be more practical for business leaders. In 2012 I decided that there really is no substitute for a ‘proper’ Practitioner programme and on the basis that I want to deliver the best learning I can for my clients, I’ve reinstated the 20-day programme. Sometimes there really isn’t a shortcut to success. As organisation structures get flatter and more 'matrixed', managers have more people to deal with and hence less time for each one. Common working practices mean that many people work from home or as part of a virtual team. The amount of time spent face-to-face with collegues and the amount of input from managers reduces more and more. To perform effectively every person must be self-managing to some extent. NLP techniques and principles can support activities such as goal-setting, self-motivation, overcoming nervousness before an important event, conquering mental blocks, improving decision-making techniques and managing self-development. I can even show you how to get past your dislike of conference calls, your fear of flying or the effects of your colleagues' irritating habits! Communication is probably the biggest challenge in any organisation, and the larger it is, the more of a challenge communications become. In the face of increasingly complex company structures, reliance on technology and the amount of time people spend working from home, effective communication is getting harder, and yet is also more important than ever. The pressure is on - to make face-to-face time count and get results from every interaction. NLP can be applied to work out effective communication strategies for different individuals and groups. By using NLP models and questioning systems we can find out a lot about how others construct their perception of the world and how best to structure communications to achieve the desired goal. I promise you'll never be lost for words again and when you need to phrase something carefully, you'll have a framework to achieve the desired effect. The pace of life and business is relentless. In the race for market share, most companies have to be highly flexible and adaptable in order to succeed. This means that the workforce must be highly flexible and adaptable too. They need to be able to rise above the pressure and chaos to learn new skills efficiently, manage change enthusiastically and constantly seek out new sources of competitive advantage. Much of NLP was developed through techniques of modelling, which involves exploring the internal and external processes associated with excellent performance and teaching them to others. Modelling can be used effectively by organisations to replicate the excellence of certain individuals. For example, wouldn't it be useful to know the real skills difference between your company's top salesperson and the rest? Similarly, for individuals, NLP can help you to develop a reliable strategy for your own learning and how to model skills from colleagues, specialists or even public figures. Any other training you undertake after learning NLP will be so much easier. You'll know how to use the new material for yourself and you'll have quick ways of adopting new approaches. There are an increasing number of people who have experienced redundancy, a takeover, relocation, a merger or some kind of violence or harassment at work. Even the best organisations do not always succeed in helping people come through these experiences with a positive attitude. At worst, a whole organisation may end up demoralised and unproductive through a badly managed merger or change programme. Reluctant though you or I may be to admit it, many of us carry these bad experiences with us through life - hindering us from achieving our full potential. NLP offers some of the best and quickest techniques for acknowledging the personal significance of these experiences and shaking off the resulting mistrust of employers, anger and distress, low morale, lack of motivation and loss of self-worth. Having moved through the negative effects of the events, you are then free to consider the value of what you have learned and to apply it constructively in the future. Overall, NLP offers a structured, systematic approach and reliable, effective techniques for dealing with the most challenging aspects of managing people - and 'people' includes you!!!! ...I know this all might sound too good to be true. I can put you in touch with some of my clients if you'd like to hear it first-hand from them. From people who have already discovered the personal and business benefits of NLP and are seeing significant return on the investment of their time and energy - thinking in different ways to achieve more easily. Because NLP is a practical subject, you get certification when you demonstrate that you can DO NLP. I take this seriously and I only issue your Certificate when I'm confident that it's appropriate and my decision has been verified by Neil Harris. Neil is a Certified Trainer of NLP and he joins the programme for the final two days to oversee the assessment process. This is a good balance for my involvement with my group of participants. Its hard for me to be objective after 20 days together, so Neil provides that all-important check and a detached point of view. So you know that your Brilliant Minds NLP Practitioner Certificate is meaningful. We are recognised by the ANLP - the Association for NLP based in the UK. With a Practitioner certificate issued by Brilliant Minds you will be eligible to join the ANLP.